Christine MacDonald writes about her experience in the sharing economy, which includes Capital Bikeshare. Capital Bikeshare still struggles to match supply to demand: As anyone who uses the sturdy red two-wheelers knows, too often there isn’t a bike or a dock available when you need one. Capital Bikeshare has seen its usage more than double since it opened in September 2010. Today the system has 22,146 “active members” with one-month or annual memberships, and has tallied another quarter million one-day and three-day “casual” memberships in the last two years. That’s between, 20,000 and 60,000 trips per week depending on the season, according to Capital Bikeshare. I donated my clunker to charity and signed up for Capitol Bikeshare months before it opened. And my husband later bought me a used bike at a moving sale. Grocery shopping on a bike took some getting used to. WABA tries to educate cyclists about the L Street cycle-track. Letter writer is right on how bike lanes can free up automobile parking. "Perhaps we should all pay more for the privilege of street parking — $100 a year, say, instead of $35 — with new revenue dedicated to transit, bike lanes and sidewalk repair." Following Too Closely bill in Virginia still alive, but 3-Foot Passing is not. Del John Cox launching into the slide show on his lap top of RABA cyclists riding more than two abreast and refusing to fall into single file formation when being approached from the rear by a faster moving vehicle. He continued by noting that he took these photos himself on Blanton Rd. near his home, and that we also could take such pictures almost any Saturday or Sunday morning. "The commenter got caught up in the Green Line shutdown Jan. 27 but found a Capital Bikeshare station nearby and rode away from the trouble." Maybe congestion pricing should be renamed Road Fare? Movie shows cycling as romantic and practical, not weird. Barbara Favola's SB959 bill, that would allow local jurisdictions to put stop signs on trails at highway intersections, passed out of the House Transportation Subcommittee #2 this morning. A non-scientific poll to see who will use Capital Bikeshare in Bethesda. The Fairfax County Board of Supervisors endorsed three major trail project funding applications that will be submitted to VDOT for Transportation Alternatives funding. After trying to get the sidepath off the Wilson Bridge improved, a cyclist was hit by a car on the actual facility he was concerned about. Expect more cyclists. Americans are spending more on gasoline than they have since the early 80's. New Bicycling move (sort of) - Walk of Shame. Through August of 2012, CaBi has surpassed the number of rides for all of 2011. Currently they're at 1,293,431 rides for the year. CaBi had a glowing report in businessweek as well. "Better yet, the program pays for itself: Maintenance and operating costs totaled $3.5 million in 2011, while fees collected were $4.1 million." Though I think they're wrong on this "Most people opt for the $75 annual membership." I think most people opt for the 1-day memberships, but I know what they're trying to say. And, in preparation for the 2 year anniversary, they're having T-Shirt design contest. "the D.C. Department of Transportation has announced a pair of community meetings to discuss what parking in D.C. might look like in the future...DDOT is asking for citizen input to develop strategies and recommendations to better balance the parking needs of everyone -employees, residents, and visitors - who competes for a share of the limited curbspace." One goal is "Ensuring the safety of all transportation users including pedestrians, bicyclists, transit users, and motorists." and they're seeking comments on bicycle and scooter parking accommodations. "The first discussion will happen next Tuesday from 2 to 4 p.m. in the Old Council Chambers at One Judiciary Square (441 Fourth Street NW). The second will happen on Tuesday, September 18 from 6:30 to 8:30 p.m. in the Ora Glover Community Room (1800 Good Hope Road, SE). More meetings might be added to the schedule." The DC Best Buddies bike challenge will feature a chance to ride with George Hincapie. Bladensburg Waterfront Park - through which the Anacostia River Trail passes - will be home to the War of 1812 Visitor Center. Grand opening tomorrow. A 15 year-old Gaithersburg cyclist was taken to the hospital with life threatening injuries after being struck on southbound 124 near Airpark Road. "Police say she was on a bicycle. The striking vehicle reportedly stayed at the scene." A positive review for PR. "But is cycling ready for its close-up? "Premium Rush" arrives with some timeliness, a kind of victory lap for the country's growing cycling culture and New York's increasingly bike-friendly streets. Wilee's Wild West and his trusty steed are in some ways behind the curve, as Mayor Bloomberg has largely tamed the Manhattan grid with color-coded bike paths." "Seven-time Tour de France winner Lance Armstrong faced a deadline Thursday to formally challenge sweeping doping allegations from the U.S. Anti-Doping Agency or accept sanctions that could include a lifetime ban from the sport and potentially strip him of his titles." CaBi expands two stations. The station at Mass. Ave. NW & Dupont Circle NW went from 23 to 41 docks and the Thomas Circle station doubled in size. DDOT points out, in response to distracted walking concerns, that while pedestrian fatalities are a larger percentage of total traffic fatalities than they have been in the past, that's because other fatalities are down so much. In fact pedestrian fatalities are down too. And they add "The largest category of pedestrian crashes in DC occurs when a pedestrian is in the crosswalk with the walk signal and is struck by a vehicle turning right or left." Ground has broken on the Washington Gateway Project along the Met Branch Trail. The District Department of Transportation is holding a public meeting to discuss plans to replace three aging pedestrian/cyclist bridges over Kenilworth Avenue/DC-295 with a pair of new bridges. They're on a half-mile stretch between Nannie Helen Burroughs and Eastern avenues in Northeast Washington. Replacing three with two huh? I wonder if one of them just isn't used much. The meeting is tonight at 6pm. 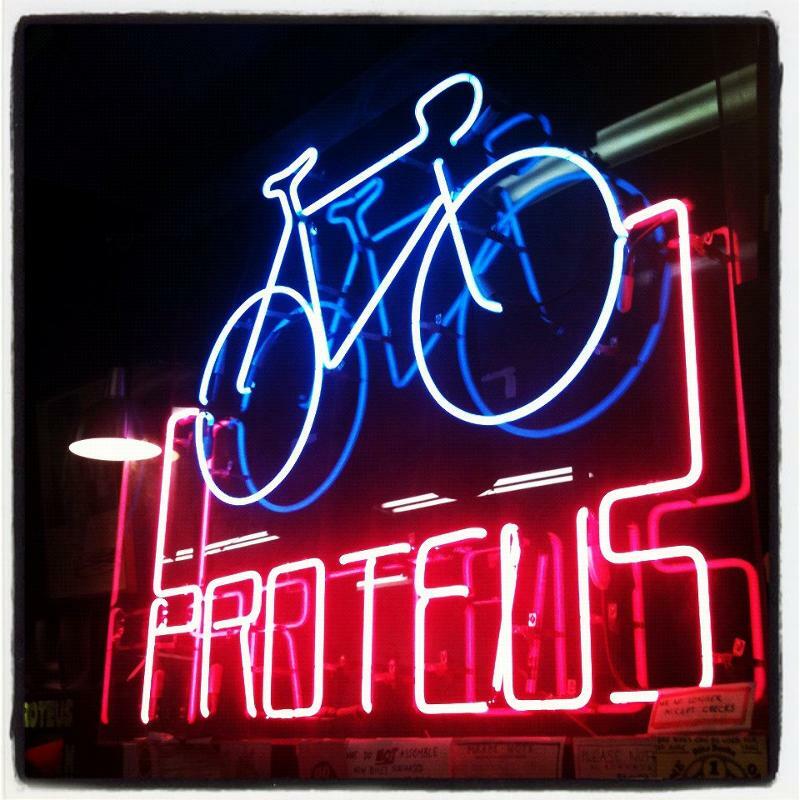 The new bike shop in Arlington is the Old Bike Shop. One cyclist's encounter with a particularly vocal driver. If only the driver would shout at this cyclist. Listening to NPR while drifting in and out of sleep today I was somehow convinced that they had determined that terrorists had caused the derailment in Ellicot City. When I woke up I realized that idea was possible enough to be scary. In this article about 4 pedestrians who were struck on 14th Street NW the writer adds at the end "The alley where Wednesday's crash happened is also the same one where a cyclist was struck and killed by a dump truck in April." This is the first I've heard of this. Does anyone know what they're talking about? DC neighborhoods NoMa and Capital Riverfront embrace bikes and biking as part of their identity. NYC veterinarianmakes house calls via bike "with her cocker spaniel Milo in the front basket and supplies and equipment in a rear trailer." Two NYC startups are working on alternatives to Citi Bike. One rents out private bikes like airBnB and the other uses bikes with built in locks and no kiosks. A study will evaluate how much changes to zoning that were meant to increase activity "are being implemented in communities -- through structural changes to the environment such as sidewalks, parks and trails, bike paths, and street connectivity -- and ultimately, whether or not these changes are increasing physical activity levels within communities." Premium Rush might have some cool scenes. And, the Atlantic has an article about separated bike lanes - or green lanes as advocates are calling them now. It's start with one cyclist who taped red dixie cups along a bike lane to keep cars out - an experiment that appeared to work. The message? Physical barriers, even small ones, have a greater effect on driver behavior than painted lines. Good morning. March Madness is here. And so is Bike to Work Day Registration. And so is BikeDC Registration. All Bike to Work day registrants get $5 off. The Environmental Film Festival features a few flicks about bicycling, of course. I don't agree with everything this author says, but they have some good advice in this DC-Centric article. Still, I'm not sure that there has been an increase in clueless cyclists, just because there are more cyclists total. You don't have to be new to behave badly. And since an increase in cyclists tends to result in no corresponding increase in crashes, I'm not sure you can blame the new cyclists. Bikesnob is coming next week. 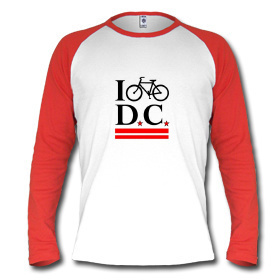 DC Velodrome kick off dinner: March 18th. Take Action: Maryland legislators attempt to weaken the Negligent Manslaughter law. "Montgomery County will spend $500,000 each year for the next six years on creating new bikeways under County Executive Isiah Leggett’s (D) proposed Capital Improvements Program budget, released Jan. 15. This year, the county’s Department of Transportation is set to fund planning for a bikeway along the proposed Midcounty Highway, from Goshen Road to Woodfield Road." Everything you could want to know about the east end of the Chesapeake Beach Rail Trail. The Ride for Responsibility is only a week away. Bike commuters in Minneapolis go up, and the crash rate goes down.